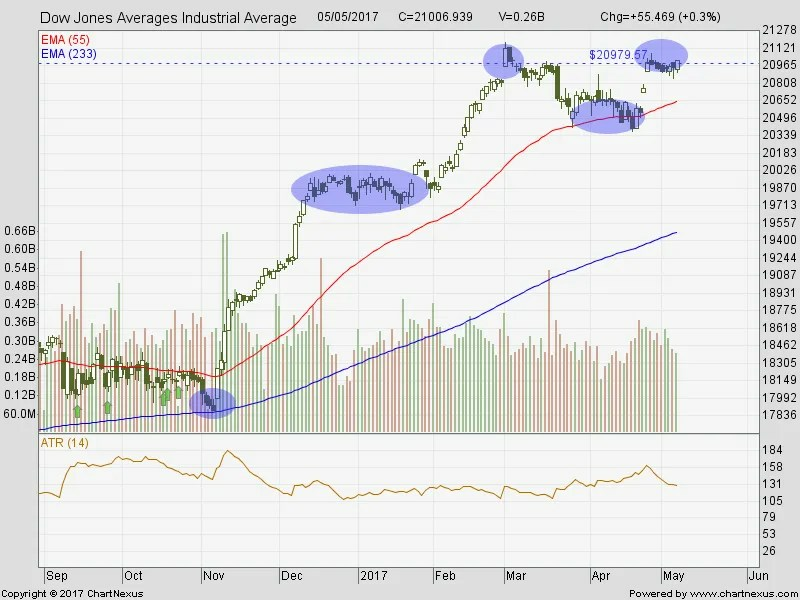 STI trend reversal occurred and has formed an uptrend. Recently, it has broke up out the 3,186 region and climbing higher. At this point, traders should look to ride their existing long positions and wait for STI to test the support at 3,186 region or consolidate sideways to build up strength for the next run. From the previous monthly update I did, the pullback I was expecting did occur. However, it wasn't deep enough as I liked it to be. I had to close on a few short positions and proceeded to open a few long (buy) positions to ride on the uptrend. Those who have been tracking the global indices would know that most of the indexes have hit resistance / recent high and are attempting to break the resistance. 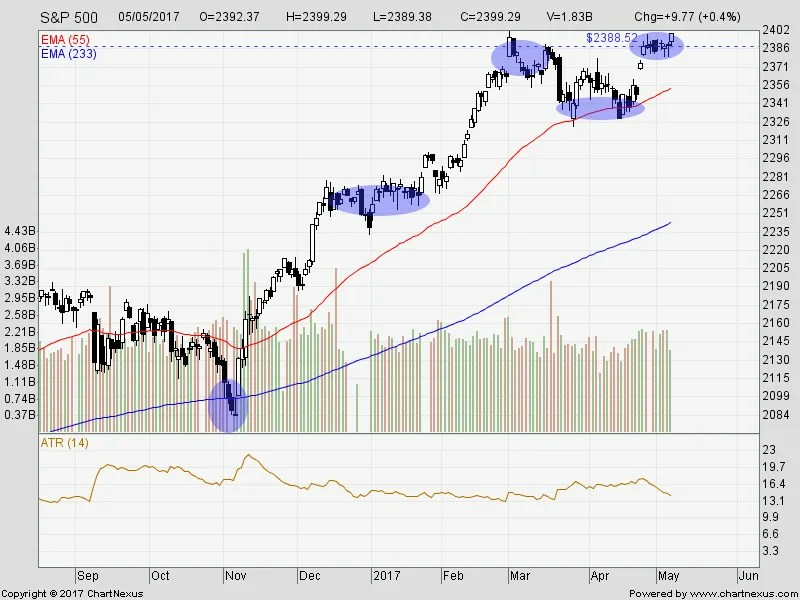 I am hoping for Dow Jones and S&P to consolidate near resistance as shown by the resistance lines drawn on the chart, followed by a breakout. Alternatively, we will see a pullback to gather strength and buyers in an attempt to breakout of the resistance. Dow Jones and S&P may trade sideways range bound. I'm sure most of you will know by now, that I have a portfolio for Income Investing to build up my passive income stream, and another portfolio to test my swing trading system. 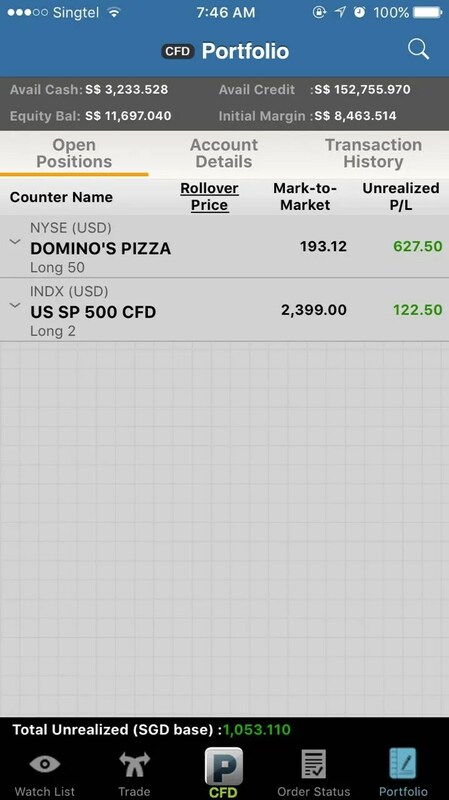 For now, I will stick to uploading the $10k challenge on Trend Trading. 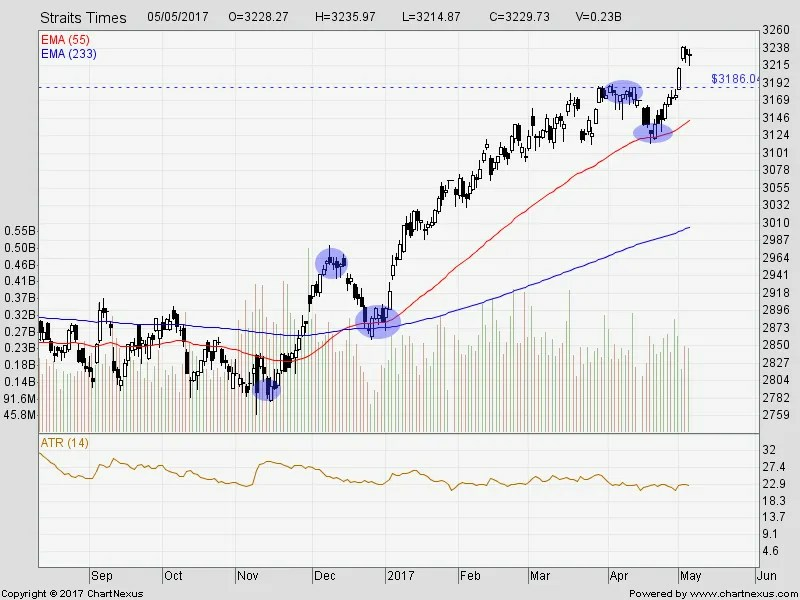 This entry was posted in Blog, Market Updates and tagged financesavvy, investing, monthly update, mrfinancesavvy, singaporestocks, STI, trading, us. Bookmark the permalink.